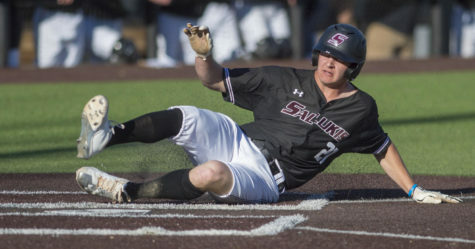 With a 19-9 loss Saturday and a crushing 7-4 defeat in an 11-inning marathon on Sunday at Itchy Jones Stadium, SIU baseball lost all three games of the weekend conference series to No. 16 Missouri State. This is the first three-game series sweep the Salukis suffered all season. Southern’s first loss of the series came despite a brilliant outing by senior starting pitcher Chad Whitmer. 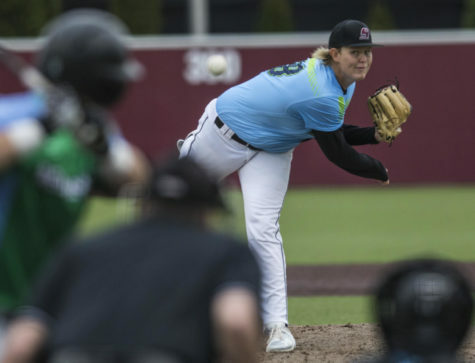 Control issues from the Saluki bullpen led to a 7-5 late-inning comeback by the Missouri State Bears. Throwing strikes once again played a role for the Salukis in Saturday’s match-up. Junior starting pitcher Michael Baird walked five batters in his 4.0 innings of work, surrendering six runs (five earned) on only three hits while striking out one. The next four Southern pitchers out of the bullpen Saturday combined to match Baird’s walk total of five batters, adding a hit batsmen along the way for a total of 11 free passes in the game. 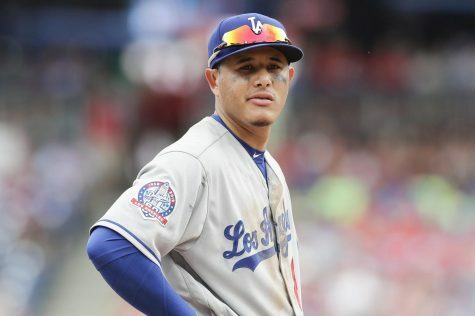 In total, nine of the 11 batters to reach base either by walk or hit-by-pitch scored in Saturday’s match-up. The Salukis battled all game at the plate, scoring two runs in the third, four in the fifth and one in the seventh to stay in striking distance of the Bears 10-7 going into the final two innings. 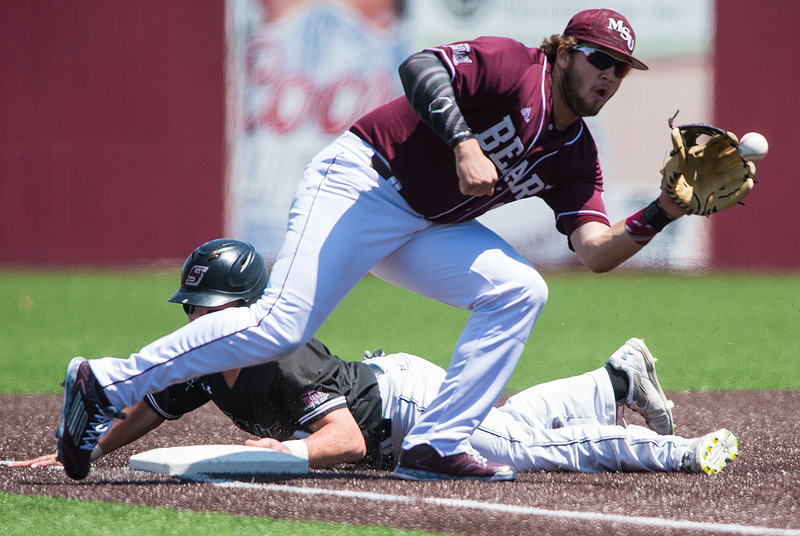 But Missouri State added another run in the top of the eighth and eight more in the top of the ninth to put the game far out of reach at 19-7. 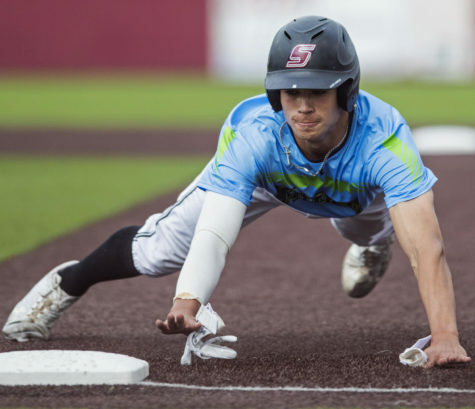 Southern scraped together two runs in the bottom of the ninth inning, but the 12-run gap proved too large to overcome, ending the game in a 19-9 loss. 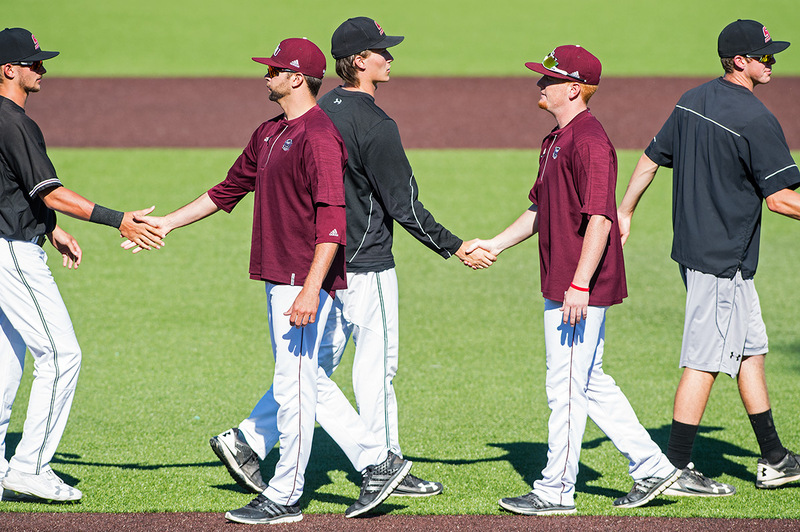 Sunday’s finale game yet again saw walks become a problem for the Salukis off the mound. Senior starting pitcher Joey Marciano failed to complete the first inning, walking five batters while allowing three runs on no hits and striking out one in 0.2 innings. 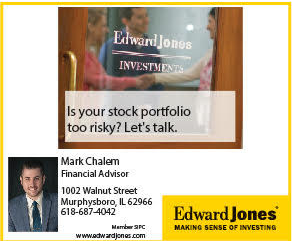 Junior pitcher Jamison Steege entered the game in relief of Marciano and stemmed the onslaught with a three-pitch strikeout of the first batter he faced in the top of the first. 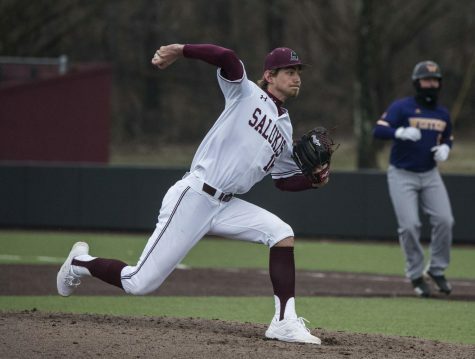 He remained in the game and pitched an outstanding relief appearance into the seventh inning, allowing Missouri State only one unearned run on five scattered hits and two walks while striking out two through 6.2 total innings of work. 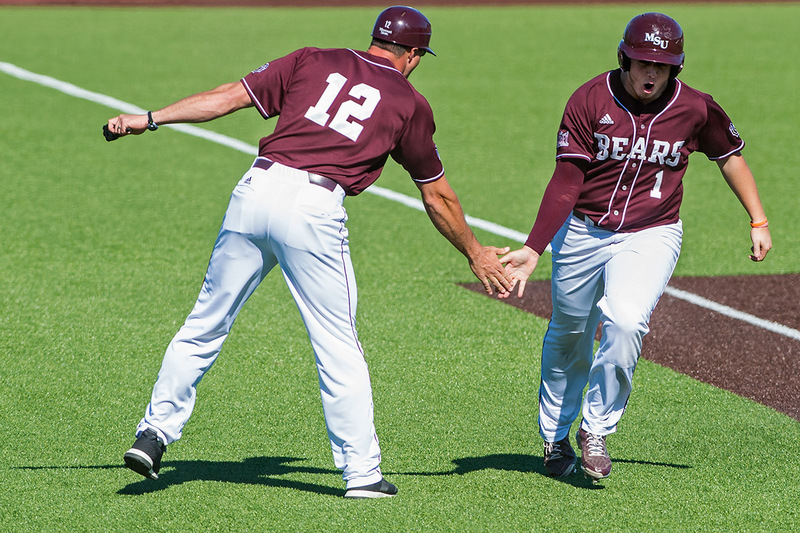 While Steege stifled the Bears, the Salukis scored four runs of their own. Leading off the bottom of the second, junior catcher Nick Hutchins sent the first pitch he saw into the right-center gap for a double. He stole third and came home to score on senior shortstop Will Farmer’s RBI ground out for Southern’s first run. Senior designated hitter Jake Hand launched his second three-run home run of the series in the bottom of the third, scoring senior right fielder Ryan Smith and junior second baseman Connor Kopach who reached on back-to-back singles. 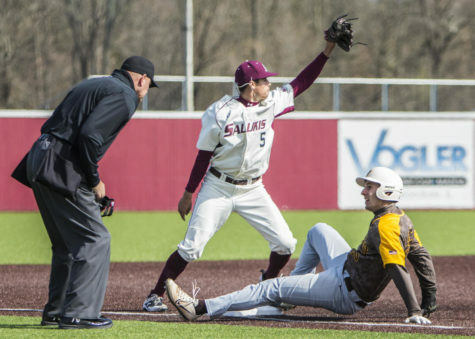 After Missouri State scored an unearned run with Steege on the mound in the top of the fifth to tie the game at 4-4, both teams went scoreless through nine innings, despite Southern having men on first and second with one out in the bottom of the ninth. In extra innings, Southern again had runners in scoring position with one out in the bottom of the 10th inning but failed to come through with a clutch hit to drive in the winning run. 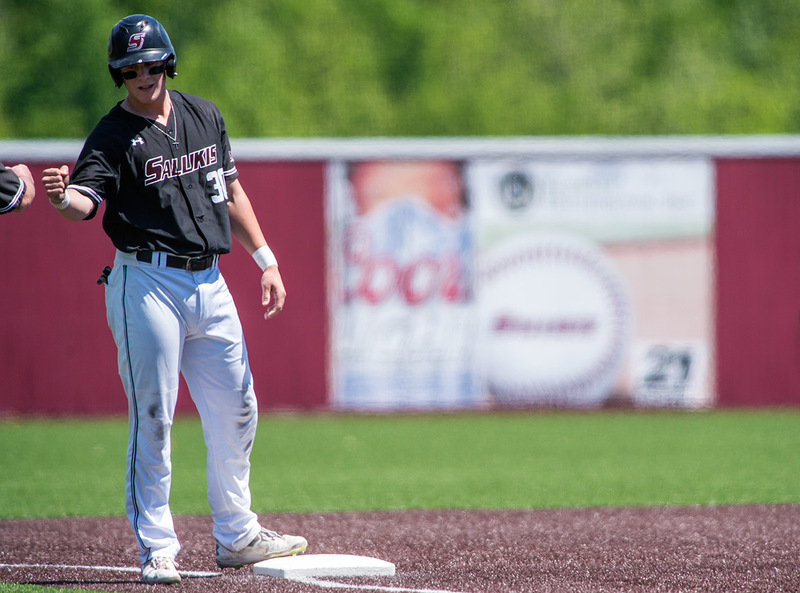 Back-to-back walks by junior closer Ryan Netemeyer to lead off the top of the 11th inning came back to hurt SIU when Bears sophomore shortstop Jeremy Eierman sent a 2-1 pitch over the left field fence for a three-run home run and 7-4 Missouri State lead. The home run was the only hit Netemeyer surrendered in a long 2.2 innings of relief work for the closer. 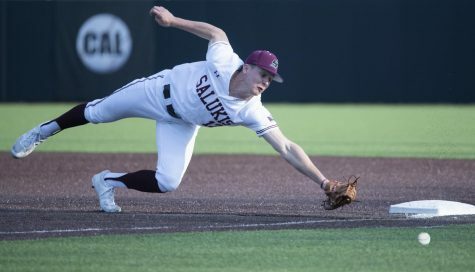 The Salukis could not mount an offensive surge in the bottom of the 11th inning despite a one-out walk to senior third baseman Ryan Sabo, ending the game in a 7-4 loss to lose all three games of the series to Missouri State. With the series sweep, Missouri State moves into a commanding lead in the MVC with a 14-0 conference record to go along with a 33-14 overall season record. 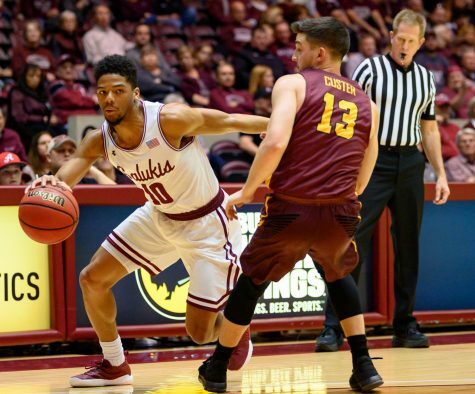 SIU moves down the board to sixth overall in the MVC with a 6-9 conference record, and moves to three games under .500 with an overall season record of 23-26. 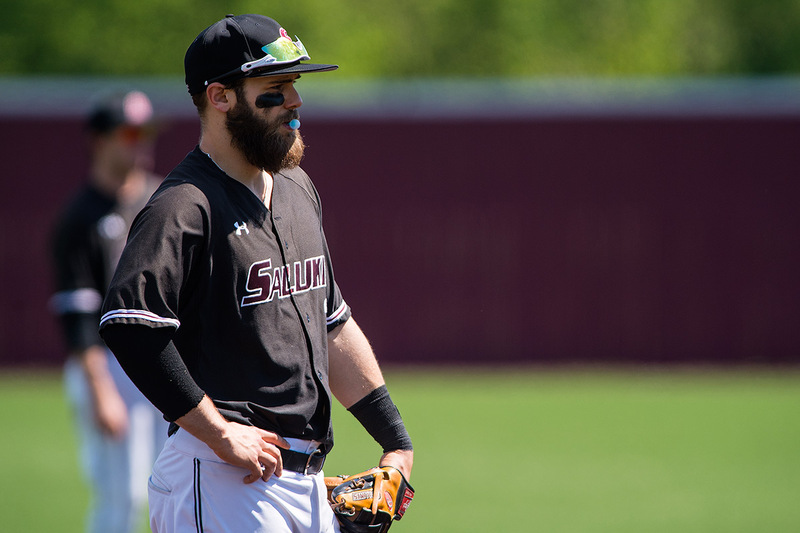 SIU has the next four days off before conference opponent Illinois State travels to Itchy Jones Stadium this weekend for a three-game series. First game is scheduled for 6:30 p.m. on Friday. 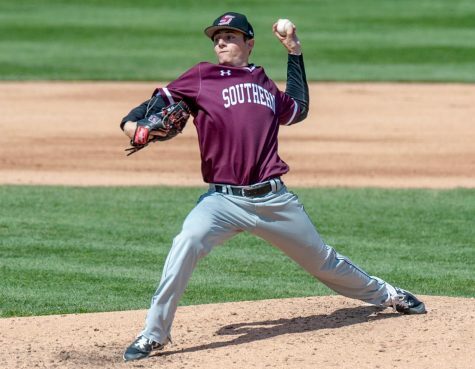 Senior starting pitcher Chad Whitmer will take the mound for the Salukis and looks to increase his streak of productive outings to five in a row.